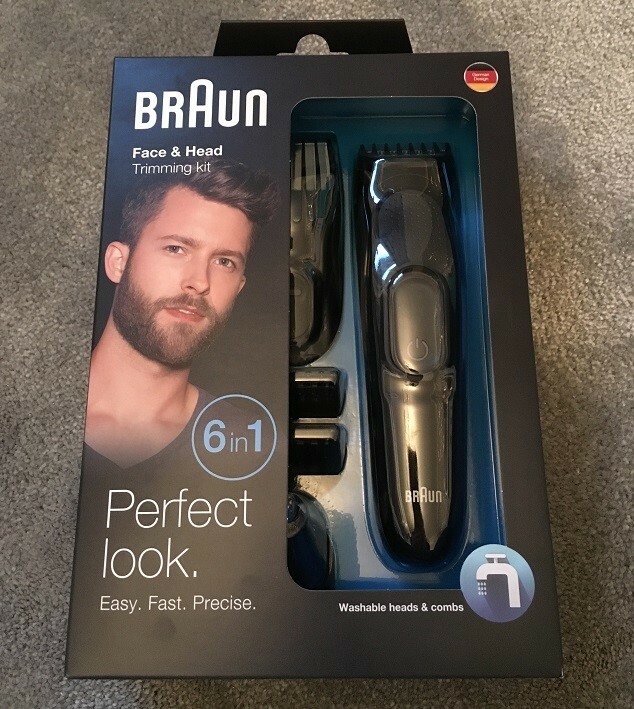 I was out with Sharon (our specialist in woman’s shaving) to pick up some bits and pieces from some local shops when I spotted a Braun grooming tool. Now, I stumble across lots of trimmers, shavers, and groomers in my line of work, but this was one of those random finds in the most unsuspecting place – a local hardware store. It was priced at a smidgen under £20. 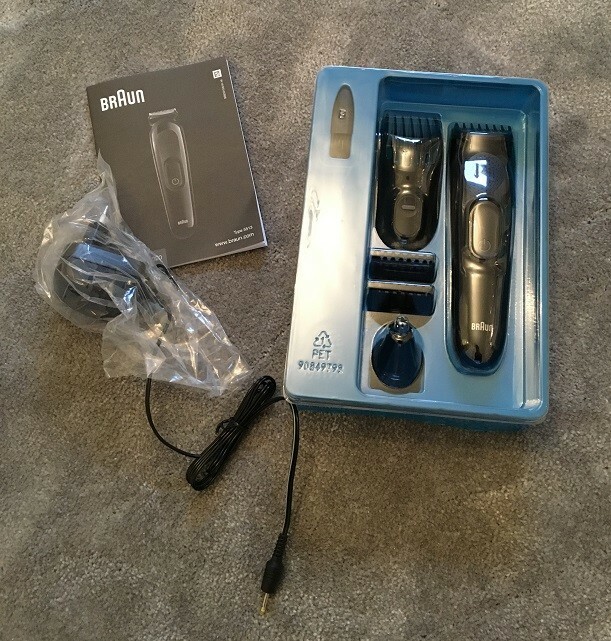 Intrigued, I picked up the box, scanned over it’s features and took a note of the model number – the Braun MGK3020 Multi Grooming Kit – as I had a feeling that I’d be able to pick it up for less on Amazon, or somewhere else online. 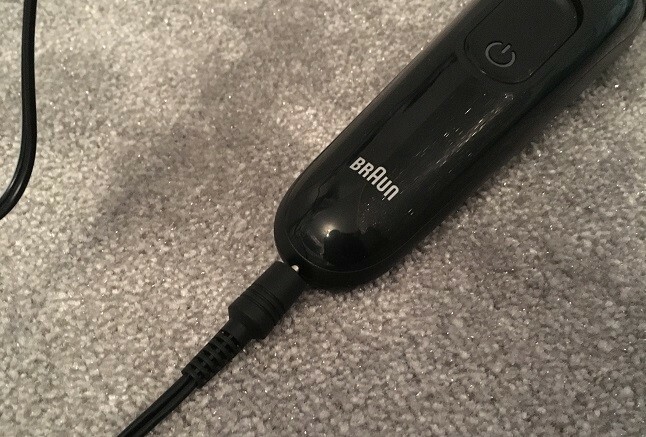 Sure enough, Amazon stocked this product at a similar price (…more on that to come), so I went ahead and made the purchased so that I could put together this Braun MGK3020 review for the blog. So, here’s my review of the Braun 6-in-1 MGK3020 grooming kit, and in-depth answers to your most common questions. How Does the Braun MGK3020 Cut? 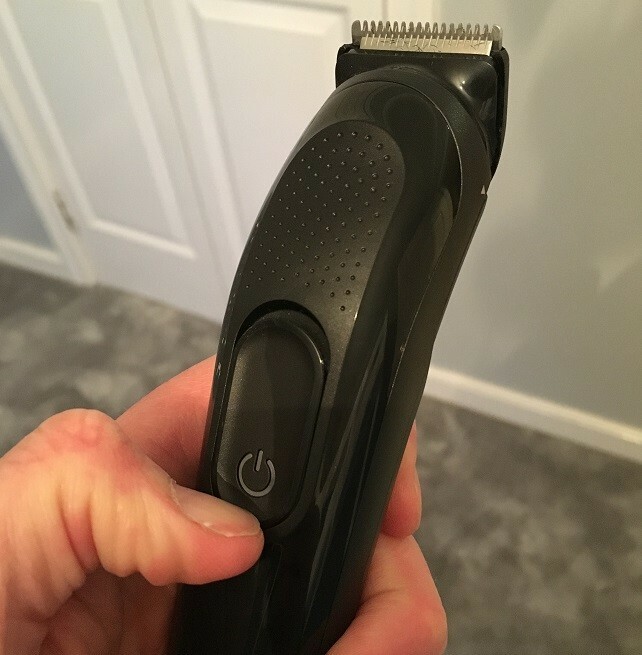 First, this is not an electric shaver – it does not shave, it trims. Since this tool is used to cut hairs, we’ll start here. 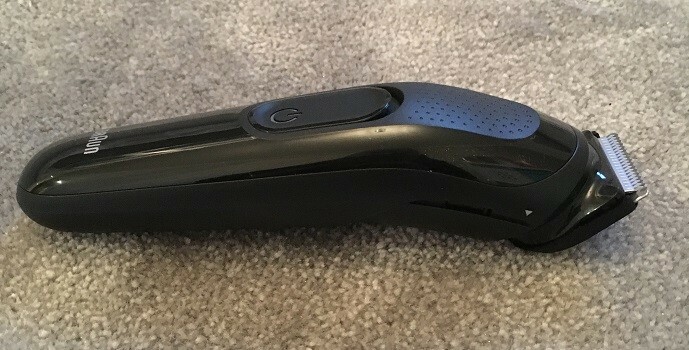 The Braun MGK3020 Multi Groomer is primarily design for beard trimming, hair clipping, and cutting facial hair from as short as 0.5mm, to give a designer stubble look. I trimmed my face hair down using the Braun MGK3020 and it left me with evenly cut short stubble that I was happy with. I was always clean shaven, but the older I get the more I’m liking a bit of stubble. It’s much quicker to run a trimmer across your face than go through the arduous process of wet shaving – plus, it takes less maintenance. For such a cheap trimmer, I was surprised that it didn’t struggle and slow down when cutting through thick patches of head hair. Yes, I do still have thick patches of hair on my head, believe it or not. The trimmer showed great ease at cutting through hair, proving the internal motor can handle trimming a full face and head, no problem. Glad to see Braun stuck with their strong and reliable internal parts when putting this budget trimmer together. So that’s 10/10 for cutting performance from me! What Are the MGK3020 Multi Grooming Kits’ 6 Functions? Currently available, there are 4 of these Braun MGK (Multi Grooming Kits) models – MGK3080, MGK3060, MGK3040, and MGK3020. The one that I’m reviewing is the MGK3020, which is the most basic model in the range. The higher end Braun MGK3080 model is a “9 in 1” multi groomer that comes with advanced attachments such as a body groomer / shaver, precision trimmer, and Gillette Fusion ProGlide manual razor. It’s also fully waterproof and has some better styling, with blue trim, higher quality internal battery that provides 1 hour of trimming (20 minutes more that the MGK3020) and perhaps, better internal components. The Braun MGK3080 is the full Monty “head to toe” trimming and shaving kit that would make a great Christmas or Father’s Day gift. 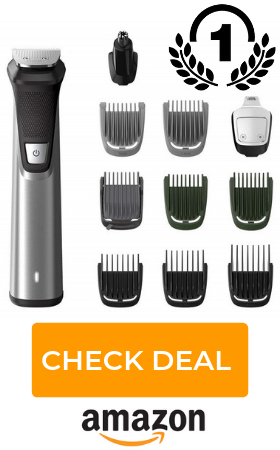 There’s some great deals on Amazon for the Braun MGK3080, and after testing the lesser model, I think the upgrade would be a great investment for your all-in-one grooming needs. Now, I think the “6 in 1” claim is a bit of an over-sell, as some of the functions overlap with each other – but I regress. 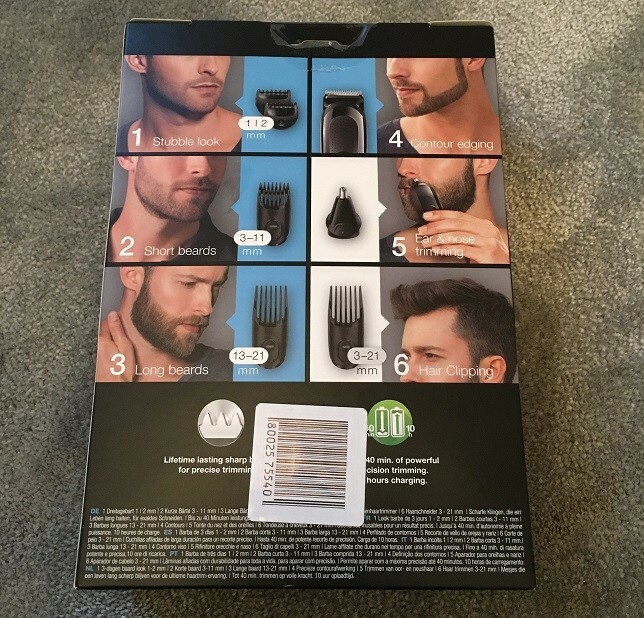 In the box you’ll find the Braun trimmer itself, accompanied with a precision comb with settings from 3 – 11mm to select the ideal length for cutting, a comb for trimming long beards from 13 – 21mm, x2 fixed combs offering set trimming at 1mm or 2mm, an ear and nose hair trimmer head, small cleaning brush, charging cable, and instruction booklet. All the attachments click on and off easily, yet they’re held firming in place. The comb slips into the grooves perfectly. Though the trimmer is very light, you can feel the build quality as the attachments fit tightly and the trimmer handle is solidly built. When I got the MGK3020 trimmer out the box I placed it on charge for about an hour. About half way through trimming my head I could hear the motor starting to fade, then it stopped. Now, I thought an hour charging would have done it, but I failed to read the manual properly which said charging takes 10 hours. 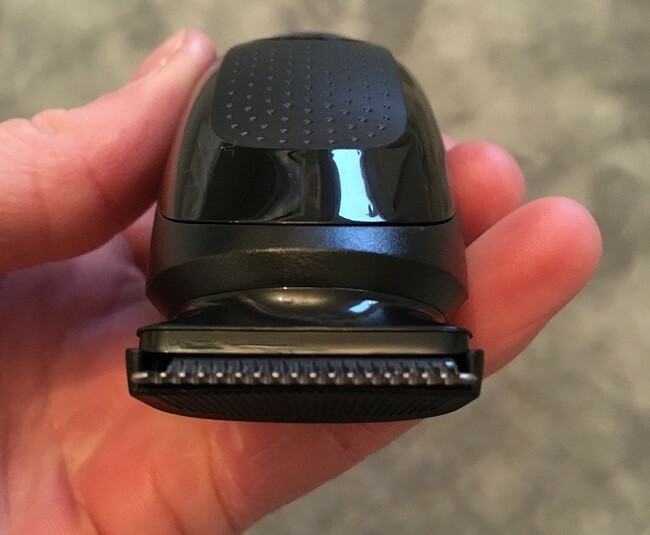 That’s quite a long time in my opinion, a comparable Philips multi groomer takes around 1 hour to charge, also popular Wahl beard trimmers have a 1-hour charging time. I’m really surprised at the 10 hours needed to charge this basic cordless beard trimmer. Like a said, it’s got the power to blitz through thick patches of hair, but the battery will fade quickly without that 10 hours of charging. From 10 hours of charging you’d be looking at roughly 40 minutes of trimming power. 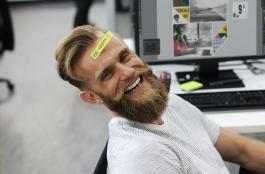 If you’re trimming your head and face hair, you’re looking at about 5 – 7 sessions before it needs charged again. I checked and compared battery stats to the higher models Braun MGK3060 and Braun MGK3080 which offer 8 hours and 1-hour charging, respectively. So, it appear the long charging time and less run time is exclusive to the Braun MGK3020, which is probably the only drawback and explains the low price point. 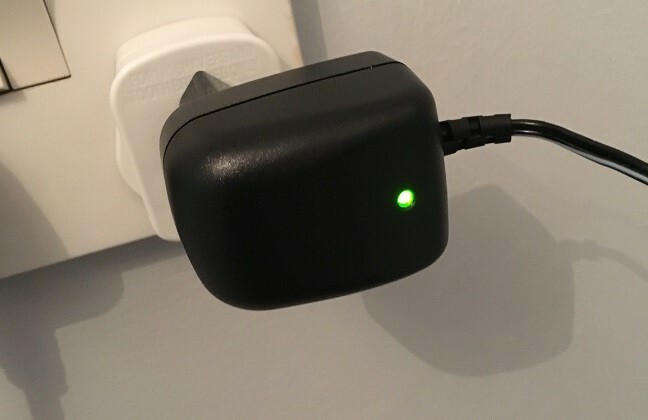 The charger has a 2-pin shaving plug, which aren’t too common in homes in the UK. With that said, shaver adapters are super cheap – you’ll have no trouble picking one up for just a couple of pounds. 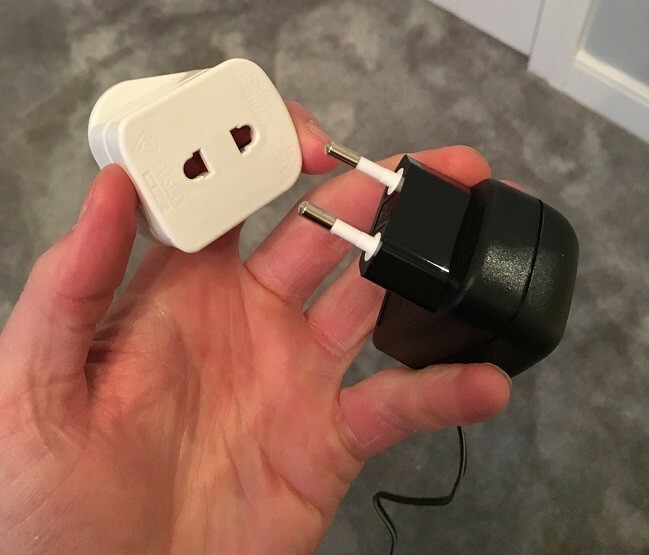 It’s preferable to have the option to switch between 2-pin and UK socket fitting, because you’ll be able to use this in different power outlets in countries all over the world, or hotels with shaving sockets. No, it can’t be fully submerged in water, and I wouldn’t try using it in the shower. It is “washable” though, which means you can hold the cutting head and teeth under running water for a short time for cleaning. 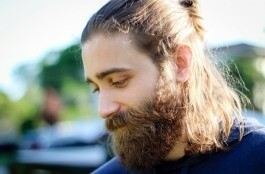 Who’s trimming a beard or head hair under water or in the shower anyway? I can understand the need for a waterproof electric shaver, but trimmers and groomers such as these work much better with dry skin and hair. Overall I found this to be a great trimming tool with some useful attachments. If you don’t mind the long charging time the Braun MGK3020 is a decent budget multi-function grooming tool.